From January, 2008 comes a show with music from Holden Caulfield and The Synergy Collective. This show also includes Turkish Star Wars and animation by Frank Panucci. Holden Caulfield was captured live at the La Belle Theater in South Charleston in August, 2007. For The Synergy Collective, we took our cameras to Ric Cochran’s Lighthouse Cafe at the Baptist Temple Fellowship Hall in November, 2007. While remastering this show, I was reminded that, in the early days of Radio Free Charleston, I was not as adept at salvaging camera audio as I am now. I h0pe that the performances come through despite the shaky sound. Frank Panucci contributed another installement of his animated “Existential Journey” series, while we also dug up scenes from the “so bad it’s good” Turkish sci-fi movie that used the special effects from Star Wars without permission. You can read the original production notes HERE. Tonight at 8 PM on Word Association with Lee and Rudy listen in as the two ramble on incessantly about Harvey Comics, the dearly-departed comic book publisher behind Casper the Friendly Ghost, Richie Rich, Sad Sack and Baby Huey. Rudy shows his age here, as his memories of the comic book company seem to be of a different era than Lee’s. 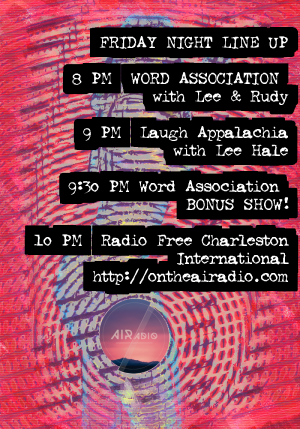 At 9 PM we might get a new episode of Laugh Appalachia with Lee Hale, we might not. You’ll have to tune in and see. That mysterious half-hour is followed at 9:30 with an encore presentation of Word Association where Lee and Rudy spend thirty minutes trying in vain to narrow down the topic of Toy Robots. 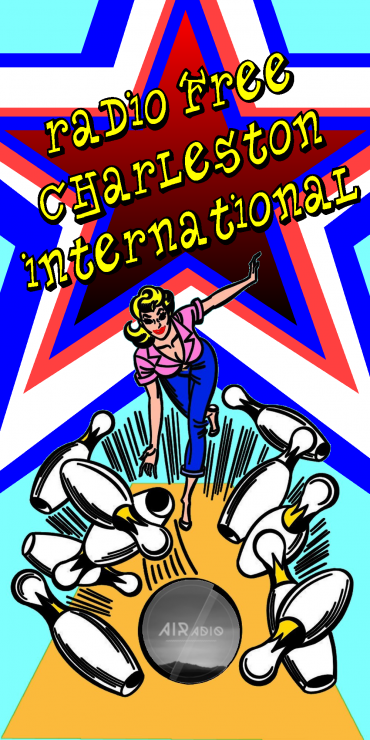 10 PM sees a replay of this week’s brand-new Radio Free Charleston International, loaded with tons of cool new music and a couple of Prince songs. You can read the whole playlist HERE. Saturday morning check back here for a replay of all of the cool shows I produce each week, winding up at 2 PM with an encore of this week’s Star Trek edition of The Booster Pack, Starting Saturday at 9 AM, you can stay at home and listen to AIRadio for six straight hours to hear a marathon of cool programming. The line up kicks off at 9 AM with local music on Radio Free Charleston, underground music on Radio Free Charleston International, a tour of Senoia, Georgia on On The Road with Mel, Harvey Comics on Word Association with Lee and Rudy and Star Trek on The Booster Pack. You can listen to the entire General Substances/RFC line-up starting Saturday mornings at 9 AM on AIRadio. This is your best six-hour excuse to sit motionless and listen to the internet all morning on Saturday. Sunday at 1 PM you can catch special encore plays of On The Road with Mel and Word Association. First up you’ll hear Mel extoll the virtues of traveling via Amtrak on a show actually recorded on The Cardinal Line. After that, stick around for the much-requested Word Association dedicated to Lemmy. Charleston native Ann Magnuson will be releasing a new album next month and you can pre-order it now. Dream Girl follows Ann’s recent explorations of dreams, what they mean, and the world in which they happen. Attendees at Ann’s show, An Evening of SuRURALism™, during FestivALL last year were treated to the pilot of her upcoming webseries, Ann Magnuson’s Dream Puppet Theater, which brings to life tales and adventures in the dream world. Anyone who witnessed her show last year will be sure to want her new album. 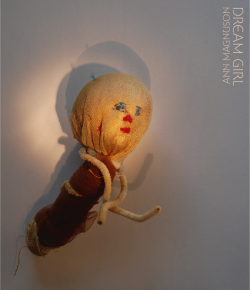 You can pre-order Dream Girl as a download or autographed CD at Ann’s website HERE. Any day now the nine-minute pilot for Ann Magnuson’s Dream Puppet Theater is expected to be posted online. Written by and starring Ann, who performs both as herself and as the voices of the many animated characters, this short film is a surreal delight. In each episode of the upcoming series, Ann’s Grandma Magnuson’s handmade dolls take turns telling their dreams of the previous night, followed by a sophisticated dream analysis. AMDPT is a surreal and hilarious journey into the depths of the human psyche featuring the animation by Jonathon Stearns. HARRAH "Pay The Piper" from Rudy Panucci on Vimeo. The video you see above is what your PopCulteer spent a great deal of yesterday editing. Pay The Piper is directed by Lee Harrah. 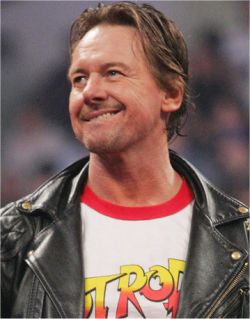 This song, a preview track from the forthcoming HARRAH debut album, is Lee’s personal and heartfelt tribute to the legendary late actor and wrestler, “Rowdy” Roddy Piper. It’s an emotional tribute to a true original, an iconic antihero who became beloved by millions in spitte of himself. This driving song is set to footage of Piper in the ring and on the screen, doing what he did best, entertaining us. Enjoy the video, remember the man, and start to anticipate HARRAH’s debut album. We’ll have news on their CD release show soon. 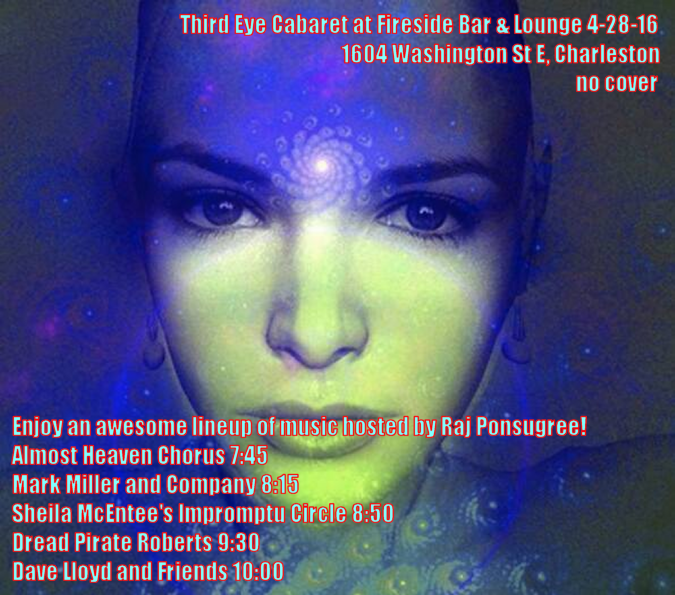 Thursday at midnight, with replays Friday at 10 PM and Saturday morning at 11, tune in for an all-new edition of Radio Free Charleston International, as we bring you a crazy two-hour mix of wild music that no other radio station would dare to program. This week we begin with music by Prince, whom we lost last week. We had to pay tribute to one of our era’s greatest musical forces, and we open the show and open our second hour with tunes from The dearly departed Purple One. We also have brand-new music from Hawkwind, Mel C, Status Quo, The Deftones, Wire, Vera Vinter and Flaming Lips. Add to that deep album cuts from The Tubes, Klaatu, Bruce Dickenson, The Tutles, Fleur and more, plus a psychedelic set and a couple of blippy, farty tunes, and you have a truly striking show. It all kicks off at midnight, Thursday, with a replay Friday at 10 PM and Saturday at 11 AM, on Appalachian Independent Radio. Special Thanks to Mitch O’Connell for this week’s art. Tune in to hear what all the fuss is about. How about we try this Thursday “Stuff To Do” again? Here’s a quick rundown, in graphic form, of cool things you can get into this weekend in and around the Charleston area. 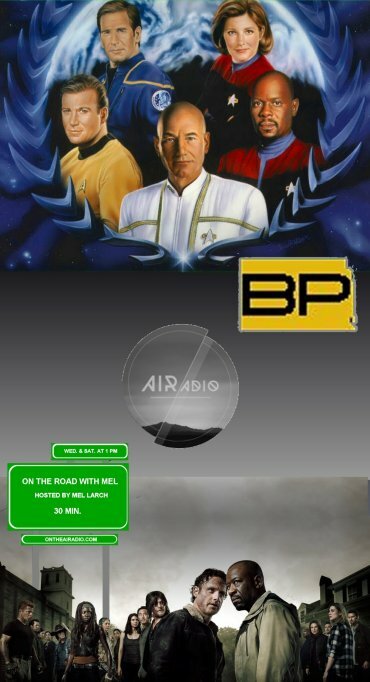 At 10 AM, with a replay at its new time of 7 PM, tune in to The Booster Pack as Chase Henderson and Terry Bartley spend an hour talking about Star Trrek in all of its various television and movie incarnations. Each week Gorillafoot Productions explores the worlds of modern nerd/cool culture on AIRadio.The show replays Saturday afternoon and Sunday evening. At 1 PM, On The Road with Mel takes a look at Senoia, Georgia, a sleepy little Southern Town that is actually bustling with activity as a major film location, primarily for AMC’s hit series, The Walking Dead. On The Road with Mel can be heard Wednesday and Saturday at 1 PM and Sunday night at 9:30. Radio Free Charleston on Appalachian Independent Radio offers up two more hours of fantastic local music this week with loads of brand-new music, and plenty of classics from deep in our local music archives. Tune in at 10 PM or tonight at 10 PM. 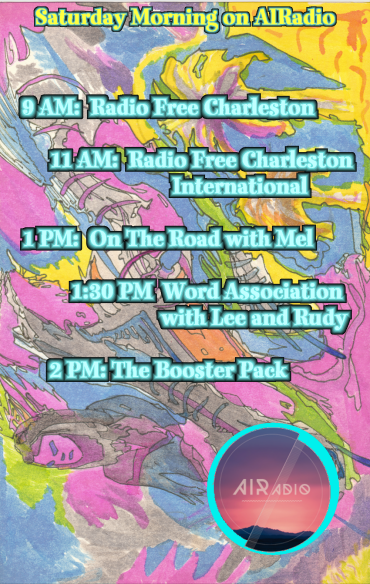 You can listen to Radio Free Charleston at AIRadio. Like I said, tune in for 120 minutes of the best local and regional music every Tuesday at 10 AM and 10 PM at the link above or right up there on that little player embedded before this paragraph. You can also dial us up in for replays Saturday morning and late Saturday night. This week we open with Huntington’s Tony-Award-winning Broadway star, Michael Cerveris and continue with fresh tracks from Qiet, Larry Groce, Hybrid Soul and more, plus classic cuts from Blue Million, Ann Magnuson, The Velvet Brothers and acclaimed favorites from the likes of The Company Stores, Ona and Metal Blade recording artists, Byzantine. Fresh from last night’s Dr. Sketchy’s Anti-Art School session, it’s Lavender Menace bringing to life Luna Lovegood from the Harry Potter novels. 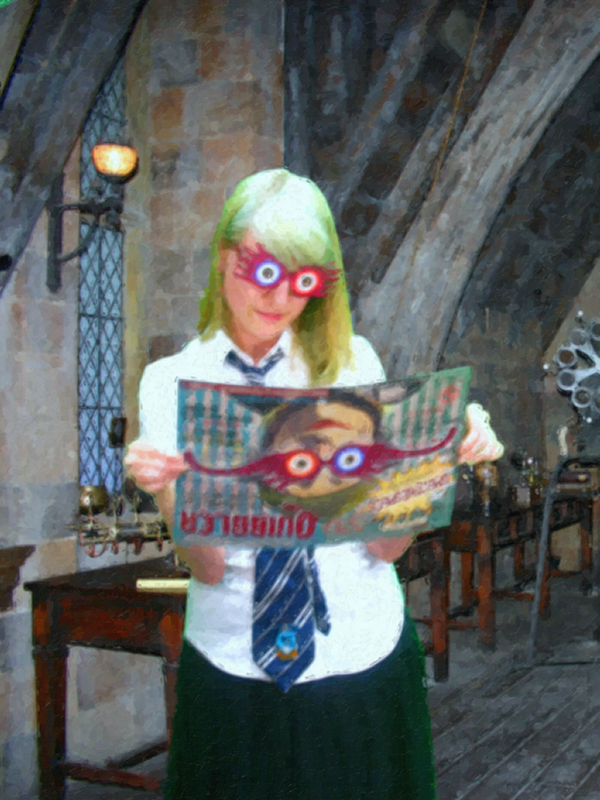 Harry Pottter’s first crush is seen above trying on Spectrespecs in a digital oil painting, and below getting a little cheeky in her witch’s hat in the potion room in another digital oil. You’ll likely be seeing more from this session in the coming weeks. Click to enlarge. 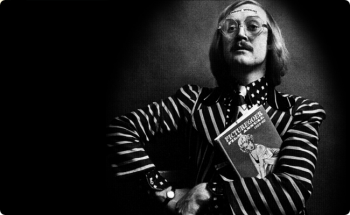 Tonight we tell you all about Viv Stanshall, and artist, writer and musician, most notably of The Bonzo Dog Doodah Band. You should know more about him, so watch this documentary from Channel 4 in Britain. Then, having learned all that you can about the man, go back and find the 432 sly references to Bonzo Dog Band songs buried in the last eleven years of this blog. Stanshall was a frontman for The Bonzos. He appeared in The Beatles’ Magical Mystery Tour, was in the house band for a kid’s program that starred Michael Palin, Terry Jones and the animation of Terry Gilliam befoe Monty Python, was the announcer on Mike Oldfield’s Tubular Bells, played on the the theme song to The Muppet Show and wrote several books. A true English eccentric, he died in 1995 in his sleep during a house fire. From February 2010 comes Radio Free Charleston 94, “Star Wars Shirt.” This very special episode featured music from Byzantine, The Pistol Whippers and Adrian DeQuiros. 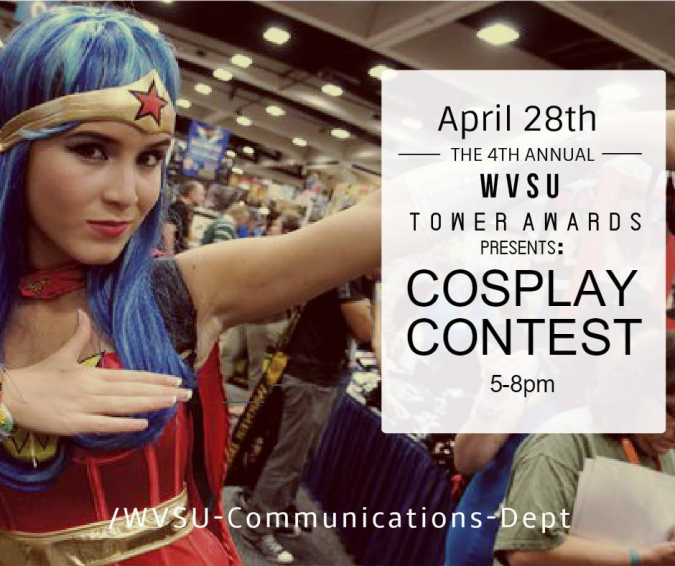 There were also promotional announcements for The East End Pet Food Pantry and The Chemical Valley Rollergirls. Lastly we had animation by your humble PopCulteer. Coincidentally, each of the musical performances on this show were shot with a single camera. I only mention this because it’s possible that you might not have noticed otherwise. 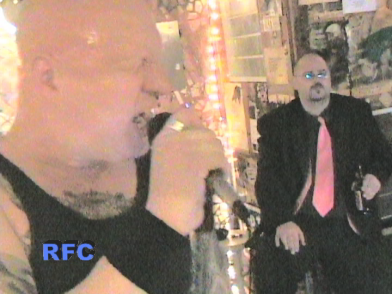 Normally we’ve done multiple-camera shoots on RFC, but this time we just happened to have three great one-camera clips. You can find the original production notes HERE.